Mojica, Barbara Ann. 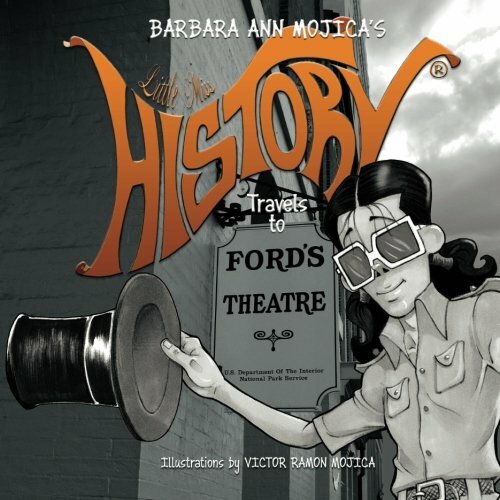 Little Miss History Travels to Ford’s Theatre. Book Review. Barbara Ann Mojica has become one of my favorite picture book writers. She composes short history books for children. Her illustrations combine photography with hand drawings. They merge seamlessly together in both charming and informative ways. I was excited to be given a free copy of Ford’s Theater for review and was not disappointed as I read through this fascinating little book. Ford’s Theater is linked to major events in American history, especially the assassination of President Abraham Lincoln. I love the way little Miss History dramatically reacts to the events on each page, from the horror of the Civil War to the tragedy of Lincoln’s death. As much can be learned from the illustrations as from the actual text. Mojica always includes some fact that is sure to amaze her reader. The tower of books written about Abraham Lincoln in the Learning Center for Education and Leadership is astonishing. Little Rose’s Big Lie: Little Rose wanted a bit of the delicious chocolate cake Mommy made just for her and did not have the patience to wait even though Mommy said the cake was for later. Little Rose took a big bite when Mommy wasn’t looking and tried to hide her misdeed. Get the book and find out about the consequences! Literally, commandment. Mitzvah is from the root of “tzav” and is often refers to a moral or good deed performed – based on God’s commandments. A kindly act is a mitzvah. Celebrate SUKKOT (Succos) with the MITZVAH GANG! The festival of Sukkot is named for one of the main commandments that are associated with the holiday: ‘Dwelling’ in the sukkah (or Sukkot pl.) for one week. 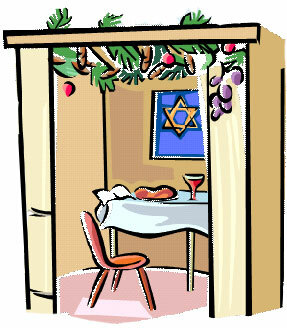 A sukkah in Hebrew means ’booth’ or ’tabernacle’. Sukkot commemorates the booths – temporary dwellings – in which the Jewish people lived during their forty years in the desert; the period of time between the exodus of the Israelites from Egypt and their settling in the land of Israel. The Promised Land. Etrog – citron, edible fruit with sweet fragrance. Lulav – palm branch, odorless but with edible fruit. Hadassim – myrtles, aromatic but non-edible. Aravot – willows, devoid of fragrance or fruit. These four species, so different in characteristics, that unite in the performance of the Mitzvah of Arba Minim teach us that no matter our differences we can and should work together for a better and kinder world. The Mitzvah Gang is a group of seven kids, led by David and Becky. The gang members made a name for themselves by doing lots of kindly acts for folks who are in need. Each of the gang members is special in a unique way. David loves books, Becky is a techie, Gabe is very tall and has lofty ideas, Leah is a songstress, Jacob makes people laugh, Joe is very quick, and Rachel is brainy and kind. The kids’ wonderful personalities and special talents mesh well together, as they work as a team to achieve noble goals. Their entertaining and heartwarming adventures endear them to all; kids and adults alike. More “Mitzvah Gang” adventures are coming soon.